Seaford came off second best in the dying moments of an entralling match at the Iveagh Grounds. The majority of the contest was keenly fought but low on goalmouth action, but it ignited in the final ten minutes as the two sides exchanged blows, only for St James's Gate to claim all three points in the thrid minute of injury time. The first half was intesely competitve but neither side fashioned many goalscoring chances. Seaford's Luke Ginnell flew off his line to deny Cormac Carr on 17 minutes, whilst at the other end the lively front pairing of Kohei Masaki and debutant Richie Mulholland were very close to unlocking the Gate defence on several occasions. But it was the home side who hit the front late in the half, following a slick counter-attack, as Derek Lamb fed Kevin O'Grady, who laid in Jimmy Farrell and the winger picked out the top corner of the net. 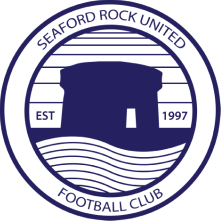 Seaford levelled early in the second half when Darragh Connolly pounced on a poor clearance from Shaquille Khan and laid in Masaki, who slotted home. For much of the second half, Gate had more of the ball but Seaford had the better chances, such as when MJ TIerney burst forward on a three-on-two break, but failed to get hold of his 20 yard shot. The game caught fire in the final quarter of an hour, after substitute Gary Shaw burst down the right side, squaring the ball for Adam Brophy at the back post, who was denied by a brilliant block from Fionn Geoghegan. On 81 minutes, Gate thought they had scored the winner when Shaw curled a stunning free-kick into the top corner, but Seaford found a second wind and poured forward in search of an equaliser, which duly arrived with two minutes to play. Paul Lydon's throughball was cleverly ignored by Donal Howley, standing in an offside position, allowing substitute Garrett Connolly to race through and produce a brilliant finish across Khan. And the visitors were agonisingly close to a winner as the game ticked into injury time. Darragh Connolly's low shot was parried sideways by Khan, but as Masaki slid in a yard from goal he couldn't quite divert the ball on target from a tight angle, the ball rebounding from the post. Instead, it was the reds who claimed the win, as Brophy was laid in by a briliant back-heel flick to fire past Ginnell, who managed to get a foot to the ball but could could only divert it high into the net..